Hi gang! Because we have had a few very busy weeks, we are rather behindhand in posting stuff, so we’ll just get right to it. TILDNEY? TILDNEY? TILDNEY? SERIOUSLY? TILDNEY? We are surrounded by Philistines and that’s all there is to it. in the 1987 screen adaptation of Northanger Abbey. Tildney’s in a number of ways, a typical Austen hero: he’s sensible, he likes to read, he’s got a younger sister to whom he’s much devoted. If he weren’t a funny character, somewhat gregarious in his wisdom, Firth would be setting a precedent for Colin Firth’s (no relation) performance as Mr. Darcy eight years later. Novelist Lev Raphael has written a piece for the Huffington Post about Jane Austen’s fame during her lifetime and after. The sequel to Terminator Salvation is going to be subtitled Revenge of the Regency and Christian Bale goes back to save Jane and her novels from destruction. Could there be a better date film? SHHHH DON’T GIVE THEM ANY IDEAS. But do check out his idea for a Mel Brooks musical featuring Jane. We are looking forward to the publication of a new Jane Austen Mystery from Stephanie Barron, who was interviewed in Publisher’s Weekly about the series. There are so many gaps in Austen’s actual record. What I find so exciting is exploring the possibilities of unknown history. It would be fun to use 1815, Waterloo, but I may find myself going back farther in time. Last week I found myself creating a plot line set around Trafalgar, in 1805, since Jane Austen’s brother served under Nelson. There Jane is with a relative right in the middle of one of the seminal events of British history, and it’s hard not to use that. 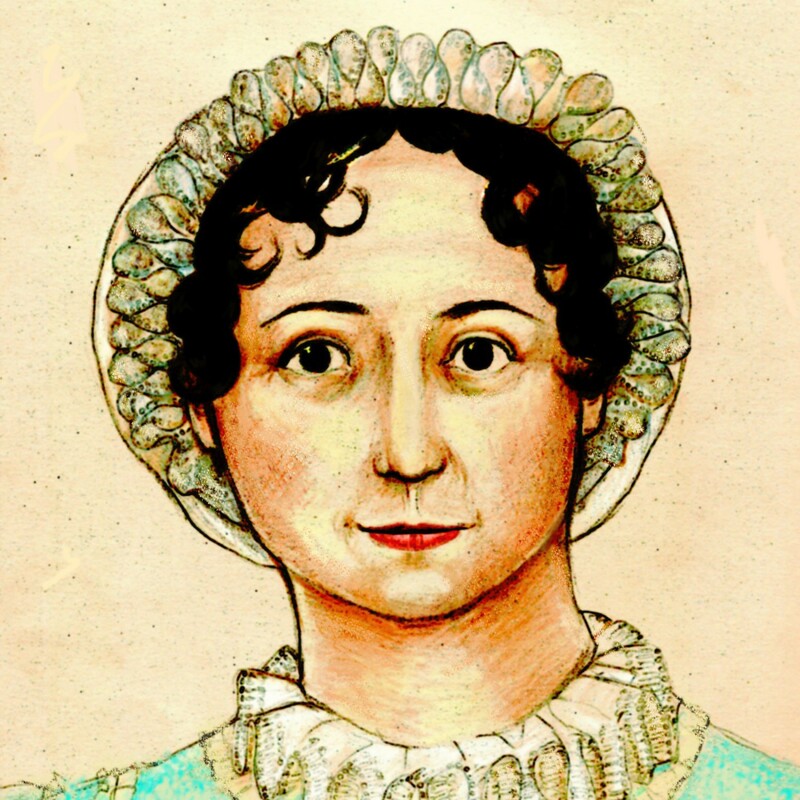 I would very much like to write up to 1817, the year Austen died. Meanwhile, Jane and the Canterbury Tale is due in 2011. ETA: To add word so sentence makes sense. Sheesh. Glad you enjoyed my exercise video idea, I mean, my HuffPo blog on Austen. I, too, was surprised Picoult made fun of a reviewer using “lapidary” to describe prose. Would she have preferred dromedary? Tildney? Oh, dear. One despairs at the state of Austen-related fact-checking these days. The most annoying lapse I’ve come across is “Knightly” on the back of the DVD case for the Garai-Miller Emma. I appreciate the shout-out for the forthcoming Jane. Lord Harold returns, btw, in a short story I’ve just contributed to Laurel Ann Nattress’s forthcoming anthology, JANE AUSTEN MADE ME DO IT. The story’s entitled “Jane and the Gentleman Rogue,” and is set in Bath. There’s a duel. Need we say more? I DO see your interest!!! I want to see your STORY!!! When she mocked Kakutani’s use of a word I learned in junior high school as a descriptor for really gorgeous prose, she came off like a faux populist. *Sigh* Faux populism is fatally tempting to us Princeton grads. Consider Donald Rumsfeld. People can’t figure stuff out by context these days. I’m very into ebooks and a lot of the people who compare ebook readers get hung up on the fact that certain ereaders don’t have dictionaries. I think, do they REALLY run across so many words they don’t understand that it keeps them from reading? They can’t figure the word out reasonably well from context? I don’t get that. *WE ARE ON A FIRST-NAME BASIS, ha-ha…actually I think of her like Madonna or Beyonce, she doesn’t NEED a last name–which might be part of the perceived-in-some-quarters problem. Maxine, I love your explanation of Austen’s endings as “hopeful” rather than the ubiquitous “happy.” I think it is more descriptive of the growth and maturation that her main characters experience. See you Wednesday, Madame Editrix. Three cheers for the sea! Hip, hip, huzzah! Can’t wait to hang out with the Horatian homies! Dxmmit! Francine, of course, and please forgive me. No worries. I’ve got so many names floating around out there, who’s keeping track? If Picoult really wanted to sting, she might have been better off criticizing Ms. Kakutani’s less-than-original use of lapidary in this context; “lapidary prose” has been used previously to describe the work of authors ranging from E.B. White to Joan Didion, John McPhee and Vladimir Nabokov to name just a few. Though I sympathize to some extent, perhaps next time she should Google before she preaches.